To renew your MA CSL online you can follow the instructions below as you go through the process. However I definitely recommend you read through the instructions below before you get started so you will know what you need to have ready to complete the process. Before you begin the online MA CSL renewal process make sure you have electronic copies of your completion certificates available on the computer you are using because you will need to upload the certificates as part of the MA CSL online renewal process. Scanned documents must not be larger than 3 MB in size. 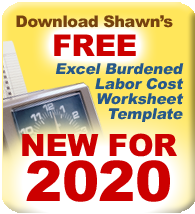 Note: Documents without a file type extension will not be processed. Your new license will need a photograph. If you already possess a MA Drivers License you can grant permission for use of that photo during the renewal process. If you do not have a MA Drivers License or do not grant permission to use that photo you will be required to upload an ID Photo that meets US Passport 2" x 2" photo specifications. Have your method of payment available before you begin the process. Acceptable payments methods are Visa, MasterCard, or a Funds Transfer from your bank account. There is a 2.49% processing fee if you pay by credit/debit card. There is a $0.40 processing fee if payment is made by Funds Transfer. You will need your SS #, DOB and license # to do so, then you will create a user ID and password. Once that is completed you can login right at the confirmation screen to access your account and begin the renewal process online. If you have already registered go to this link to log in: https://elicense.chs.state.ma.us/egov/web/Login.aspx Log in using your user ID and password. After logging in you will be at the “Licensing Home Page” and should see your MA CSL license record information. At this page you will find a menu on the left side. At the menu you can choose to renew your licensee online, request a duplicate application if you want to renew by mail and did not already receive your renewal application from the state, Change your address information if needed, and/or log out of the site. At this page you can renew a variety of license types if you have more than one license. You will need to select your CSL License for renewal by finding it in the list and then clicking on “Continue”. 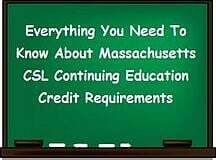 After clicking “Continue” you will be taken to the “License Renewal Application” page where you can click to begin the renewal process for your MA CSL. At the next screen you can confirm or update your address information. All required questions must be answered so check the info required and add or change anything as needed. Once updated click the “update” button to continue. You will be taken to the “Personal Information” Page. At this page you can choose to either edit the information on the screen or if no editing is required click on “Complete”. You will be taken to the “Application Questions” page. At this page you can choose to allow use of your MA Driver’s License photo or upload a photo that meets the renewal requirements. After answering the remaining questions click on “Submit”. You will be taken to the “Attach Documents” page. At this page you can upload your MA CSL CEU Completion certificates as well as a photo. As part of the upload process for each item uploaded you must select the document type uploaded from the available dropdown list. Repeat the upload process as needed to upload all the certificates needed to meet the credit requirements. After uploading your completion certificates click “Continue”. You will be taken to the “Survey Questions” page. The survey questions are optional. At this page you can decide to answer the questions or not, then click “Continue”. You will be taken to the “Application Summary” page. At this page you should review all information to either confirm it is correct or you can use the menu at the left side to go back and make any changes as needed. Once you have confirmed all information as being correct click on “Continue”. You will be taken to the “Pay License Fees” page. At this page you will find your total fee renewal amount and can click on “Pay Fees” to proceed. You will be taken to the “Make a One-Time payment” Screen. At this screen you will enter your payment information as needed depending on the payment method you use. Once complete confirm your information and click on “Continue”. At the next screen first accept the terms and conditions and then click on “Authorize Payment”. You will be taken to the “Application Submitted” page. After you submit your payment, you have sent your application and fees to the Department of Public Safety for processing and you will be brought to a confirmation page which includes a receipt number. At this page you can print off the confirmation information and retain it for your records. The confirmation page will serve as your receipt.